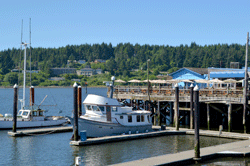 Florence is a scenic seaside community at the confluence of the Siuslaw River and the Pacific Ocean. Conveniently located along the Pacific Coast Scenic Byway (Highway 101), only one hour west of Eugene and boasting its own airport in town, Florence is an easy and beautiful coastal destination. With its walkable Historic Old Town, the Three Rivers Casino Resort and ocean and lakeside recreational activities, Florence offers visitors a full agenda of fun adventures and sightseeing. 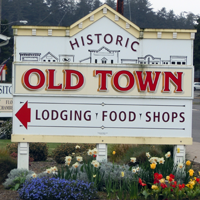 Stay overnight in Florence or beach-front off Highway 101, soaking up the slower pace and enjoying the fresh ocean air. 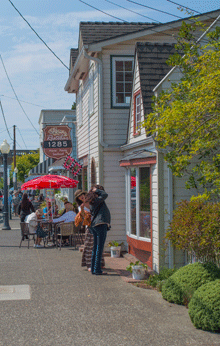 Historic Old Town Florence is a charming 1900s fishing village built beside the Siuslaw River. Its original port and marina still bustles with boats and seafaring vessels. 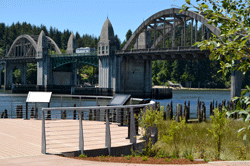 From the Old Town Gazebo on the riverbank, gaze down the river to the beautiful Siuslaw River Bridge, which replaced ferry service in 1936. Amble along the timber boardwalk overlooking the docks, watch fishing boats returning with the day&apos;s catch and dockside crabbers hauling up their nets, or cast out a line yourself. Visit the Siuslaw Pioneer Museum to learn more about the community&apos;s origins as a fishing village. Bay Street is lined with Victorian-style storefronts selling saltwater taffy, ice cream and souvenirs. Order a bowl of clam chowder and some local seafood at one of the many Historic Old Town Florence restaurants. 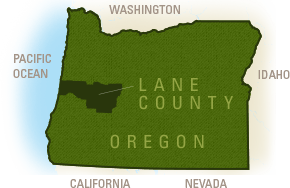 Besides bordering the Pacific Ocean, the largest natural wonder that defines Florence is the Oregon Sand Dunes National Recreation Area. Part of the Siuslaw National Forest, these dunes are the largest coastal sand dunes in North America. For easy access to the dunes, follow the South Jetty Road to a spot popular with beachcombers, surfers, windsurfers and ATV drivers. The North Jetty leads to Oregon&apos;s first official scuba dive park, converted from a former fish ladder. Florence is rich with outdoor pursuits. Beaches, parks, hiking trails, lakes and rivers are interwoven throughout the coastal community. Get outdoors on a coastal golf course, explore the world&apos;s first ever sandboard park, or take a guided dune buggy ride. Built in 2004 by the Confederated Tribes of the Coos, Lower Umpqua and Siuslaw Indians, the Three Rivers Casino Resort is a fun entertainment and gaming destination. With headlining shows, extensive gaming tables and progressive slot machines, casual to fine dining and the natural Oregon coast setting, this resort hotel is a getaway gem. The Florence Events Center is home to the Last Resort Players theatre company and the Seacoast Entertainment Association&apos;s annual concert series. Popular annual events include the Florence Festival of Books in September and the Winter Music Festival in January. Discover the creative side to this coastal community at one of their many art shows or performances. No visit to Florence is complete without an excursion north to see Heceta Head Lighthouse and the popular Sea Lion Caves. 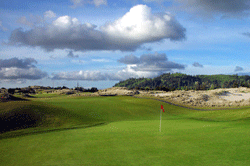 Explore the Oregon Coast from Dunes City to Cape Perpetua, and visit the Florence Area Chamber&apos;s Visitor Information Center for maps and more information.